Jessica Treadway is phenomenal. Her story collection Please Come Back to me received the Flannery O'Connor Award for Best Short Fiction. 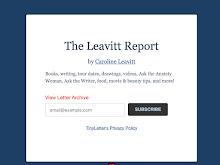 She is also the author of Absent Without Leave and Give You Peace. I am so thrilled to have her here. Thank you so much, Jessica! I always want to know, “Why this novel? Why now?” What sparked the writing? Many years ago, I wrote two different fragments — beginnings of something — and when I rediscovered them, it occurred to me that they might work together. One was a scene based on a horrible event that happened to a family I knew — the parents and three children all went out ice skating, and the youngest, a nine-year-old girl, fell through the ice. They all rushed to help her and also fell under, and she slipped away from them, beneath the ice, and drowned. The others survived, but I was haunted by imagining what they would remember of that event, and how it would affect them. The other fragment was about a child who saw Michelangelo's Pieta at the 1964 World's Fair in New York, then was also in the Vatican on the day in 1972 when the sculpture was attacked by a man with a hammer. I wanted that character to grow up to be an artist and art teacher. In this novel, I've changed the accidental drowning to a murder near a frozen pond, and because of historical timing, I couldn't work the Pieta piece in (I'll use it somewhere else, someday! ), though the murdered girl's mother is an artist and an art teacher. 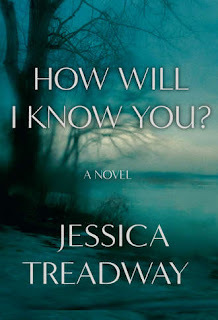 I loved Lacy Eye, and I loved the even tighter suspense in How Will I Know You? So, if you had to, what would you say the lessons were that you learned in writing Lacy Eye and applied to this new novel? Or do you feel that every novel is starting from scratch? Were there risks that you took? Thank you, Caroline — that's a true compliment coming from you. They really were very different novels to write, for many reasons. In Lacy Eye, I was exploring the question of how much if anything the narrator might be hiding from herself, whereas How Will I Know You? contains an actual mystery about who murdered Joy. The information isn't hidden, but, rather, unknown. In that sense, it's a whodunit, but I hope it's also more than that because I was most interested in examining the effect of her death — and her manner of death -- on selected people around her, especially in the context of the search for her killer. As for risks, I thought it was a pretty big one to tell the story from multiple points of view, which I've never done before. I worried that people would prefer one or two characters' perspectives over the others, and wish they could be back with those when I made a detour to the ones they didn't care for so much. I'm sure that will happen with some readers. But even in the time since I began this novel, I've noticed many other novels being written now using the same structure, so I take heart from that and hope that enough readers will like alternating whose mind they spend time in, throughout the book. It also felt risky to have one of the point-of-view characters be a black man; his is the first-person narration, at that, while the others are third-person. It would be dishonest to say I didn't feel nervous about this, considering the current sensitivity about cultural appropriation and who can tell what story. 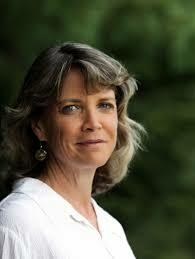 But I've felt similar nervousness when writing from a maternal point of view, when I am not a mother myself. And in fact, Martin's voice — and an interior life for him -- came more easily to me than the interior life of the white male character. He appeared to me as a black character, and it would have been more wrong of me, I believe, to reject that instinct out of fear about what someone else might think or say. I know that however well or poorly I did it, I rendered him in good faith (as I do with all my characters), and the question of good faith is a primary factor in how I judge myself and others. I loved that we get the story from four perspectives, because it’s been proven that four people can see the same thing and come up with different versions of what happened—depending on who they are. Was it hard to juggle all these perspectives? It was actually easier than I thought it would be, probably because the four are all so different from one another. There are two male and two female point-of-view characters, and they all had distinctly different relationships to Joy, except for Tom, who doesn't know her before he becomes involved in the investigation. Other than him, we have her mother, her best friend, and the man arrested for her killing — Martin, who had been her mother's lover for a time. Since this book is about secrets, I’m wondering if it has impacted the way you handle what to divulge and what to keep hidden? I'm assuming you mean in terms of the stories I write, and not my personal life (in which I still try to keep hidden the things I always did). :) As for stories, I'm always interested in how much a writer tells up front, because it clues the reader in as to what the novel will be about. In my first novel, 15 years ago (And Give You Peace), I made the deliberate decision to reveal in the early pages that two characters had died, and how, because my story was about one of the surviving family members trying to piece together the why. 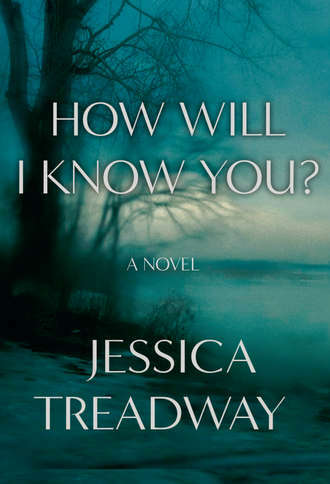 But in How Will I Know You?, it was important to have the murder unsolved because I needed the tension in the small town, and among the characters who live in it. Their suspicions about who killed Joy, and the actions they take because of those suspicions, are central to who they are. And to the question of how well they know the people around them, even in the most intimate relationships. As you know, I received your questions before the election, and the election was obsessing me then. Answering them afterward, the election is still obsessing me, as it is so many of us. If you mean in terms of things literary, I'm having fun working on something that I have no plan for — I'm "following a whisper," to use Jayne Anne Phillips' phrase about how she writes. What question didn’t I ask that I should have. I don't know what the question would be (! ), but the answer is that I've been thinking a lot about the "popular vs. literary fiction" debate, both in terms of my own writing and the novels and stories I read. One of my aims in writing both How Will I Know You? 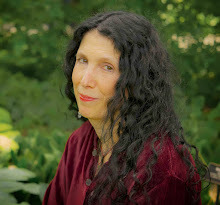 and Lacy Eye was to do my best to write book that inhabited both realms — that is, well-crafted prose about full characters acting to propel a plot. As strange as it might sound, plot was something I've really only thought about with these last two novels; developing characters, and evocation of atmosphere, comes more naturally to me. I don't know how well I ultimately succeeded, but I did have to smile when I was speaking with my agent shortly after submitting the manuscript of How Will I Know You? , and she said, "I'm tempted to tell you, Less plot, please." I guess I will continue to aim for a happy medium.